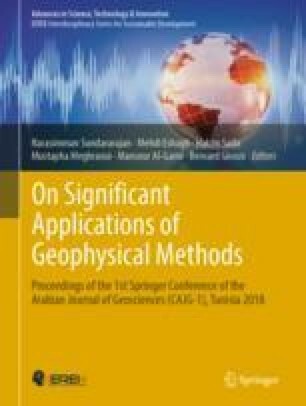 In this study, the results of earthquake data processing, recorded essentially by the Syrian National Seismological Network (SNSN), were analyzed, and a special earthquakes catalogue for Damascus fault covering the period 1995–2012 was established. During the study period of approximately 17 years, it was observed that the seismic activity of this fault is characterized by low-magnitude events. It was therefore deduced that Damascus fault is actually in a quiescence state in contrast with other faults segments of the Dead Sea Faults System such as Yammoneh and Aqapa segments. Such a seismic quiescence along the Damascus fault implies that a large earthquake is overdue. The Gutenberg-Richter relationship, deduced from the established catalogue, inferred that the b-value is about 0.93 using the least-squares technique. This value, close to 1.0, can be accepted regarding the reported values in the literature. Extrapolation of Gutenberg-Richter relationship reveals long return periods of large earthquakes.